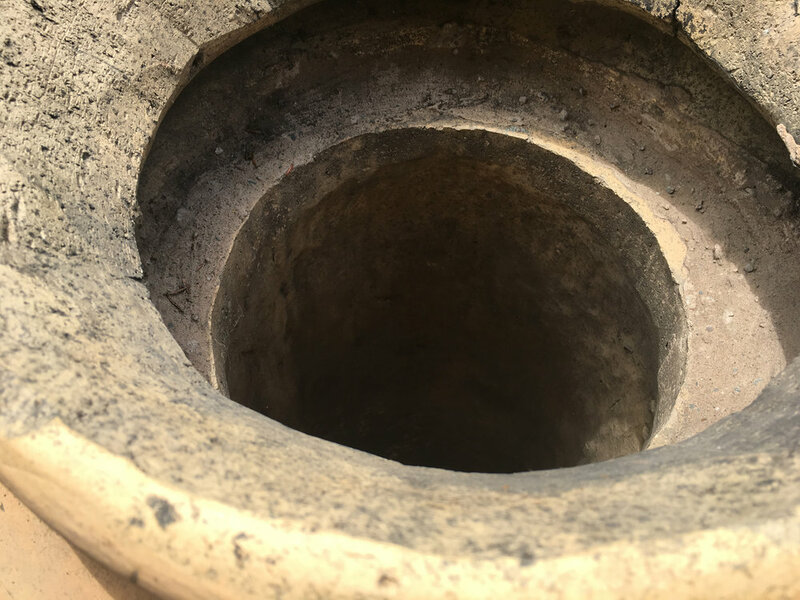 Rare because of its size, this hand-thrown terracotta chimney pot was removed from an enormous building in the Southeast of England near Kent. 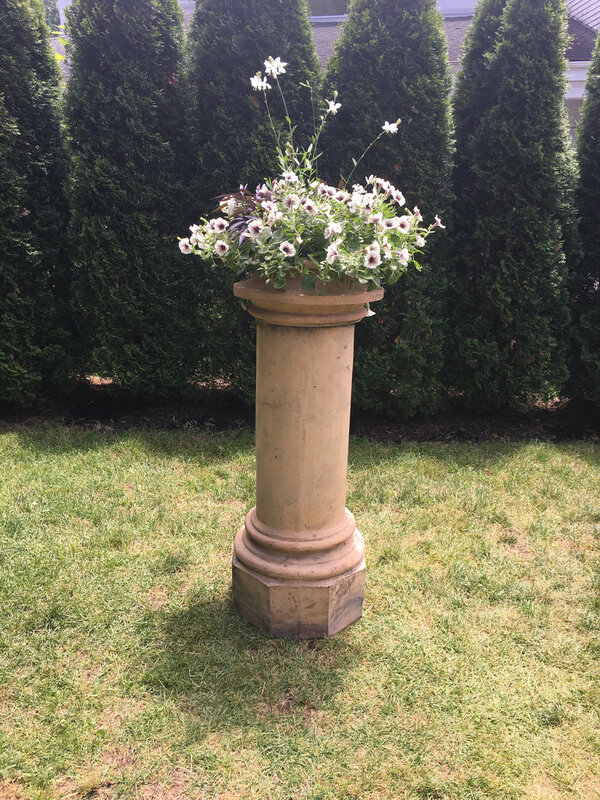 It would make a wonderful focal point in the center of a garden, and is just the right size to hold a nursery basket of profuse, dripping blooms. 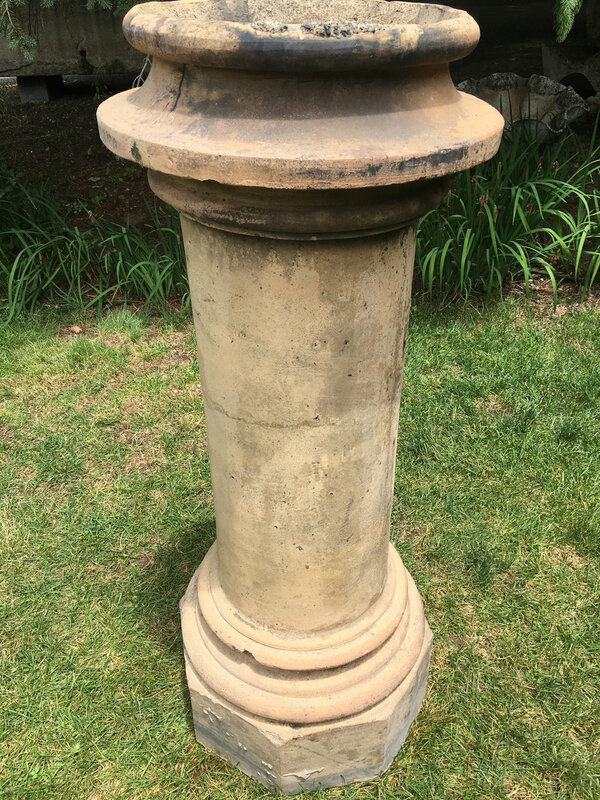 Alternatively, top with a piece of stone or wood for a fabulous pedestal.